90% of all piano shops will just look at the splits and say we can shim this or even horrifically say they will dry the soundboard out and shim it. They never check the shape of the the soundboard, if the crown has been lost, so it has now turned concave the ONLY option is to replace the soundboard. If you can imagine the soundboard having 2 to 3 tons of down pressure through it for 100 years, it is now extremely tired and WILL NOT perform how it once did. Wood is made up of lignin and cellulose, over decades these begin to break down and cause weakness in the boards, resonance decays very quickly as if the note is diving off a cliff. The animal glues that where used in early piano manufacture also break down and turn brittle. The most important and integral parts of the piano is the soundboard. It is the resonance of the soundboard that is a governing factor of the tonal quality. Our soundboard are bespoke made for each individual piano we rebuild, they are all hand made from the finest Sitka Spruce. Sitka spruce is used as it has the finest resonant qualities and the timber we source is slow grown with annual growth rings ranging between 8 to 12 per inch. The close grain enables the sound waves to transfer quicker and purer. Every soundboard should be crowned, by this we mean the middle should be higher (a convex shape) It is this shape that helps to transfer the sound wave and thus gives you a quality note that does not decay quickly. 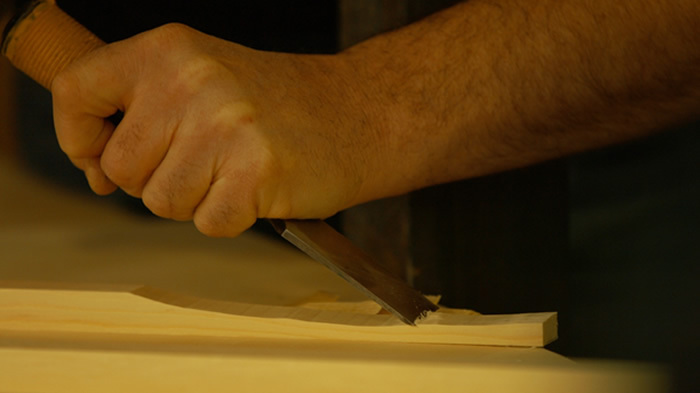 All our soundboards are hand made using tradition methods, developed and enhanced by the Leverett family. Our process is unique to us and every board has the same amount of love and care as the next, it is imperative to us that we fit them 100% correctly, as this truly is the heart of the piano. This Stienway has one of the worst soundboard we have ever seen. SHOULD I HAVE MY SOUNDBOARD SHIMMED IF IT HAS SPLIT? If your board has developed splits, we have to determine why? Is the piano over 70 year old? Shimming a soundboard that is over 70 years old and that is now concave is complete FALSE economy. ALL the work that is carried out WILL have to be done again within 5 to 10 years when the splits open up again and a new soundboard has to be fitted. 90% of all pianos we view that have been supposedly restored will need to be done again with in 10 years. 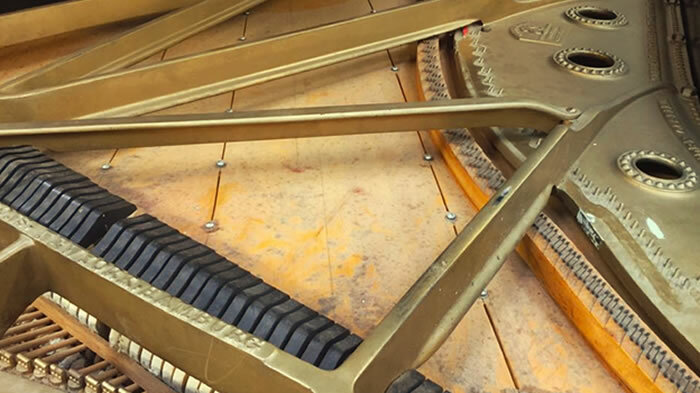 If a piano is rebuilt correctly and kept in the correct conditions, built with modern glues, our bespoke technique and process, your piano will last you a lifetime.